Sridevi's daughters are still quite young, and the actress is not too sure of their career path. But the evergreen beauty in a recent interview said that showbiz is a tough industry to survive in and, as a mother, she would like her children to settle down soon after they reach marriageable age. Sridevi, who is in the news for her comeback film English Vinglish, says her 15-year-old daughter Jhanvi has not decided anything about her career yet. "Right now she is very young. She has still not decided what she wants to do. Each day she (Jhanvi) has some new career options. Sometime she wants to do fashion designing, sometimes she get into science. But as a mother I want my kids to get married soon," Sridevi is reported to have said in a recet interview. 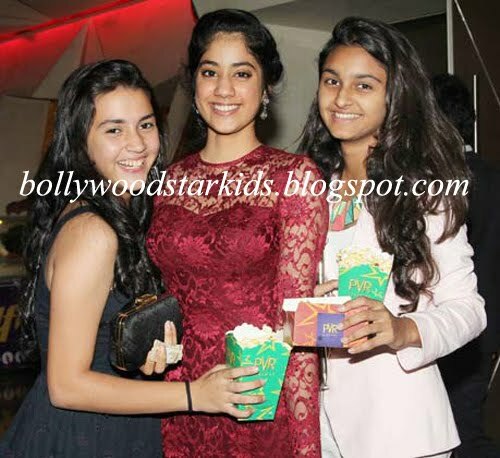 Sridevi with her Husband Boney Kapoor and Daughters Jhanvi and Khushi at the English Vinglish Premiere. 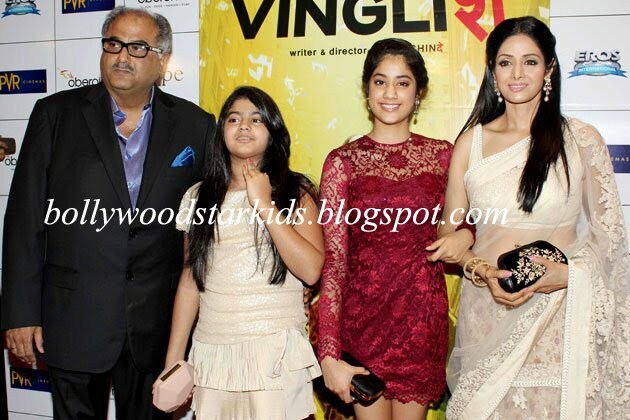 Sridevi & Husband Boney Kapoor With Daughters Jahnvi and Khushi at the English Vinglish Premiere.